I use this product for many years and now it works even better. It gives me lots of energy, clear thinking and wellbeing feeling. I did recommend this product to my friend and he is now ordering it. My husband and I take this every day. I like that it has vitamin K2 also. I did some research on my own and decided to try AB Ubiquinol CoQ10. I am using another product of AB and have been happy with it. This may sound hokie, but I noticed on the 2nd day how I felt more energy and was doing more and realized that it had happened on the first day. I'm a believer, especially, coming off a vacation in which I thought I had packed the Ubiquinol and did not. I didn't have the energy and was tired a lot. Now, I do not know if this is what is suppose to happen. It does for me. Ubiquinol CoQ10 coenzymes continues to work for its intended use. I am using this product for many years and I never found anything better than this Ubiquinol. Now its works even better. It keeps me alive all day, has no side effects like dizziness and I am going to continue use this Ubiquinol. Easy to use and I feel the effects during the day. More energy and no more feeling tired as this really boosts my energy! The best form of Q10. After 50's ,coenzyme Q10 are depleted,so supplementation is needed. My only wish is to get 60 or 90 capsules in a box,not only 30! It's the Only Product that Really Works, for Me. Excellent Product! Red the label. It’s got more than any other brand. Price is right.We feel better all the time.What more could you ask for? Yes I recommend this supplement by Advanced Bionutritionals. I have been taking Ubiquinol CoQ10, this product is wonderful, I am enjoying the health benifits. I'm glad I tried this product. For some reason I want to take it and miss it when I don't. So they must make me feel good. I have ordered 6 more bottles. As I am 84 yrs old , I can say that your supplements must be doing me good. My wife & I will continue to take them. With Ubiquinol COQ10 my strength returned to normal within a week. 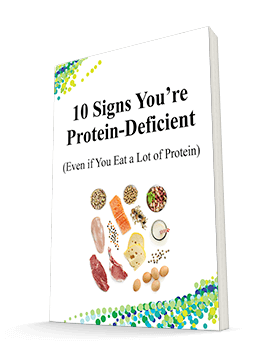 I take a lot of nutrients so it is impossible to know which does what. I know that the heart needs CoQ10 in the form of UbiquiNOL, not UbiquiNONE. Cannot tell if this is doing anything, and that is half the battle. Harmless, but must be helping. Provides additional anti-oxidant power if nothing more. Worthwhile. I like this product because I feel it has made my heart stronger. I will order more bottles in the near future. I seem to be feeling better since taking this. I seem to have more energy and my appetite is better. Your products are of excellent quality and I will continue use and recommend to friends. Thanks. My wife,daughter and I swear by this brand. We,be tried others. No comparison! Yes absolutely..This ubiquinol has k vitamins in it too..This is not something you pick up at a dollar store nor a pharmacy store..Its very unbiquinolistic:-)Thank you. My wife and I have been using this for many years. Ubiquinol is the better absorbed form of CoQ10. I believe this particular product is an excellent source with the Ubiquinol combination. Have had high blood pressure since childhood. Since taking Ubiquional from Advanced Bionutritionals i have the blood pressure of a professional Athlete! My Dr. thinks it’s a miracle! My wife and I love this product! We could feel the difference almost immediately .if there was only one product that I could take ,this would be it . I have been using it for a number of years n I was happy that it has included K2 therefore I have asked my son to take it too. However I always doubted if one capsule per day is enough or not. I feel great not too tired now. will continue to take CoQ10 for the rest of my life, I am 80 this year -- my heart is strong now. Hard to say precisely, i feel fine at present with the product though. Have been taking this supplements for many years. Still gives me a boost of energy daily. Easy to swallow. Thanks. Honestly I don’t feel the difference. Great product for my heart. I am well pleased. My Dr. told me to keep doing what I had been doing. I have been taking this supplement for sometime then I ran out. I visited my local supplement shop just to get COQ10. I started taking it but I felt somehow. Not like the one I bought at Advanced Bionutritional. I quickly ordered the Advanced Bionutritional. Guess what within two days I noticed the difference. Head to toe I feel super good. I can never stop. I repeat never stop taking this product. The difference is clear. Big thank you to all the Doctors at Advanced Bionutritionals. I cannot thank them enough for the extra mile on this particular product. Thank you. I found the surge of energy remarkable and told my daughters. I dont need as much sleep but just go all day. I'm 73 and thank Ful!! My cholesterol numbers came down below 200 for the first time in 15 years from using ubiquinol coenzyme Q10. I have purchased Ubiquinol CoQ10 from Advanced Bionutritionals several times, because it makes me feel better, and I like the fact that it contains ALA and Vitamin K2 which are excellent for cardiovascular health. I feel great and hope to continue taking this product. I loved.i fill much better now l recommend my sister. After only taking the supplement for two days I felt a definite change in my muscles. Instead of a dragging limp feeling, my muscles returned to a normal energetic feeling of strength. I am very satisfied with this. At the right price I will order this again. Started taking this product several years ago based on a recommendation in an alternative medical news letter. I highly recommend this product because it works well with me. I took the first pill and it stopped the pain and tightened on my chest so I really like this product very much. Very good product - the best I have tried recently. It has no side effects and I love this brand. Thanks so much for making such good products! I really like the Ubiquinol Coenzyme Q10. it really helps me in the morning when I have lots to do! Now when I go to bed, I'm raring to go in the morning! I love it! Thanks Advanced Bionutritionals! I'm your customer for a long time. This food supplement - is so important for me. Only Ubiquinol CoQ10 can restore my energy. Thanks to CoQ10! Thanks to your Company! Love coq10 I can definitely feel it working. Just wish that it was 60 capsules instead of 30. It's more than the ordinary CoQ10. I highly recommend this product. I honestly do!!! I am 87yrs old but do NOT feel any thing like that age at all. I can't say I feel any different but I know this is a good supplement and trust their products. I have never taken a product that actually did what they said it would do until this one. I have tried many CoQ10 products with no results. This one really does what they say it will do. It has highly improved my energy level and it lasts all day!!! My brain and memory is remarkably improved. I feel like a new person! This is the bomb! Excellent for overall health. 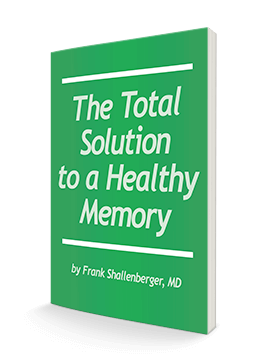 As we age, we need to take this supplement because our bodies need more of CoQ10. I believe that taking CoQ10 is helping my fatigue. I feel more energized and balanced and plan to keep taking this product. I use Ubiquinol CoQ10 for many years. It gives me lots of energy, clear thinking and just feeling of well-being. I have been taking CoQ10 for many years. It allows me to heal more quickly from cut and bruises. All of your products are very good. Take this daily, works very well. I have taken 150 mg CoQ10 for several years, hoping to give my heart the energy it requires as I age. When I recently discovered your new formula with Ubiquinol I switched over, still adding one of the other at night. Almost immediately I felt more stamina in doing daily chores. I found I could do more in a day and still have energy to walk my dogs in the evening. Hence, I feel younger. I am seventy four, feel more like I did in my mid sixties. I have been so happy with Ubiquinol CoQ10 that I start to panic when I am getting low and my next order hasn't arrived! I feel like it has given me consistently more energy, and all in one little red capsule! Love it! I have been using this product for sometime. No side effect. I am full of energy. No more tiredness. We have used this CoQ10 for many years and it has helped to maintain our good health. Have been taking CoQ10 for a number of years. Went for Cardio Stress Test recently. Cardiologist commented that my heart muscles was very strong- thanks to CoQ10 with Ubiquinol. After taking this Supplement for about 3 weeks I noticed I wasn't getting my frequent Chest pains, as often. In fact, quite a reduced amount of Chest pains. Thankyou for the opportunity of trying this Supplement at a Reduced Price - otherwise I could not have bought it. I don't know how it's supposed to make you feel. But, I've read, that it is good to take. I am in my 70's and enjoy working out which helps keep me active. I can tell that Advanced Bionutritionals' CoQ10 is helping me to have good energy. I have been taking Advanced Bionutritionals supplement Ubiquinol CoQ10 for several years but stopped for about two years and started taking them again. I am pleased that they have included Vitamin K2 which is very beneficial to me as I take VitaminD3 seperately thus Vitamin D3 is more effective. It does give you energy and do I will continue taking it. My blood pressure and general immune system seem to improve when I take this supplement. I have used CoQ10 for about 3 years and I love it. I'm glad I came across it. Although the body supplies it naturally I take it because of my 72 years and I require an additional boost. 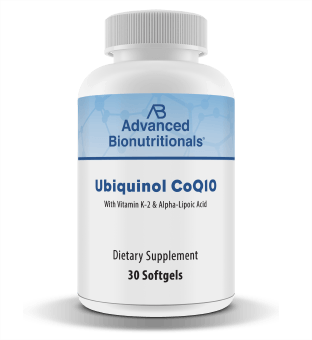 The benefit of this product, Ubiquinol CoQ10, is the absorption rate into the blood stream is far better than other products I've tried. There is a difference. there are a lot of similar products out there now but this one is also a high quality of coq10 and has been out for a long time! My wife and I have taken CoQ10 for some time and feeling better and would recommend it to everyone. I have taken Ubiqinol CoQu10 for a few years now and I love it. I have a great deal of stress in my life but I am calm and people think I don't look my age. It is down to Ubiqinol, I am sure. I checked out as many sources as possible and found that Advanced BioNutritionals Ubiquinol form of CoQ 10 with supplements of Lipoic Acid and L Carnitine was the undoubtedly the best in class. I do regret that the L Carnitine content has now been omitted. I assume the formulators have a good reason for this and would not like to think that it is due to cost because I would gladly pay more if L Carnitine was included. Still I am most satisfied with the product and feel so good. Each month I have blood tests and my readings are great. Having used this product for the past couple of years now I am very pleased to recommended it.. a top energy booster- Thank you- John H.
The product was a positive tepid to better health. The pills do not stop in the middle of swallowing. I felt confident about CQ10.I read lots of articles about CQ10, pros and cons. The price is just right for a retired couple. There are no negatives about this product and plenty of great reasons to use quality (affordable) products that are a direct benefit to my ageing body. I feel great on this product, it gives me good energy levels, I noticed when the effects of it diminished in the afternoons, I'm 70 years old. Product is good with the exception of its shape. As it is some people are unable to swallow it, because of its near roundness. It could be easier to swallow if it were elongated. This supplement provides a good source for ubiquinol and also vitamin k. My husband and I both use it however it is very expensive to use. To get the required dose we need 4 bottles a month for the both of us. They should also offer bottles with more pills in them than they do now. For those reasons I only give it 4 stars. IN THIS PARTICULAR CASE YOURS CONTAINED THE ADDITIVES OF ALPHA-LIPOIC AND K-2. AND, OF COURSE, THE PRICE: AB WINS. My husband and I are quite satisfied with this supplement. We especially like that it has Vitamin K in it. I am only one week into using this product but already feel some improvement in my general well being. Will be able to give a more detailed review once I have used the product for a longer period of time. feel better already. not so tense. asier to get going and move around. I'm still taking it hard to say because i was taking COQ10 before If i feel a different i will let you know for sure or reorder it. Thanks. This is a good product and both my husband and I use it but the cost is high compared to other products of it's kind on the market and there is not enough pills in the bottle. One bottle only lasts both of us 15 days. It's probably because one bottle would cost too much if they included more pills in it. I feel the price could be less. Because of this I couldn't recommend to others but we will continue to use it. My only problem with this product is that because I have trouble swallowing it. I am a small person which also creates some swallowing problems. Otherwise it is a comfortable pill for most to swallow. I consider Vitamin K2 and Alpha-Lipoic a good combination. I'm taking this as a precautionary, hoping to keep a healthy heart. I don't feel any different since starting to take this problem, don't know if a blood test would show anything. So far, I haven't achieved any noticible improvement. I will try 1 more month. If there is no change, I will need to cancel my membership, but I appreciate your offer to try your product. No I don't feel any different , I will give it a little longer time to see if it helps . I was unable to notice any thing, different to report. I've been taking the CoQ10 for about three weeks, haven't noticed any change in my system yet.. Sorry, I don't feel any better! But that is not unusual!! The new and improved Ubiquinol CoQ10 supplement. Now with twice the ubiquinol to help you achieve higher levels in your bloodstream, more energy and even better antioxidant support. Plus added vitamin K2 too.